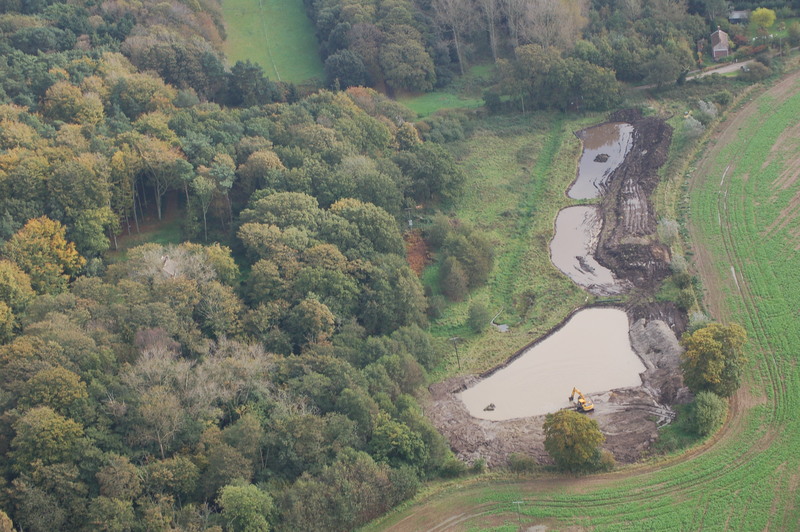 RM Wetlands & Environment Ltd have been working with Norfolk Rivers Trust to pioneer the implementation of an integrated constructed wetland which has been specifically designed to remove phosphorus from effluent being discharged from a sewage treatment works whilst also providing a range of other benefits for wildlife and people. 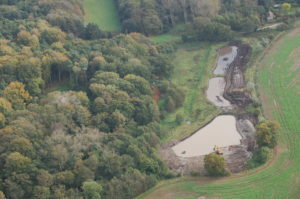 The Frogshall Wetland immediately after construction. The Frogshall Wetland at Northrepps covers approximately half a hectare adjacent to the River Mun in North Norfolk. Designed and built in late 2014, water quality monitoring data collected over the last two years have demonstrated that the wetland is consistently removing 80 to 90% of the orthophosphate it is receiving. The wetland was designed to fit into a small piece of land donated by a philanthropic landowner, and even though the three-celled wetland required to be slightly larger it still acts as an excellent demonstration as to how water quality issues associated with small rural sewage works can be remediated through green technologies. 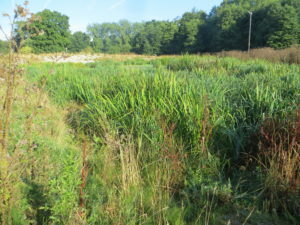 When appropriately designed and built such wetlands are a fraction of the cost of traditional technologies employed as standard within the water industry, have limited running costs or embedded carbon costs (with research showing that they actually become a sink for carbon) and they can provide a range of other benefits such as cooler local air temperatures, offering education and recreational experiences, improving landscape aesthetics and enhancing biodiversity. Everard, M., Harrington, R. and McInnes, R. J. (2012) Facilitating implementation of landscape-scale water management: The integrated constructed wetland concept. Ecosystem Services. 2. 27-37. Harrington, R., Carroll, P., Cook, S., Harrington, C., Scholz, M., & McInnes, R. J. (2011). 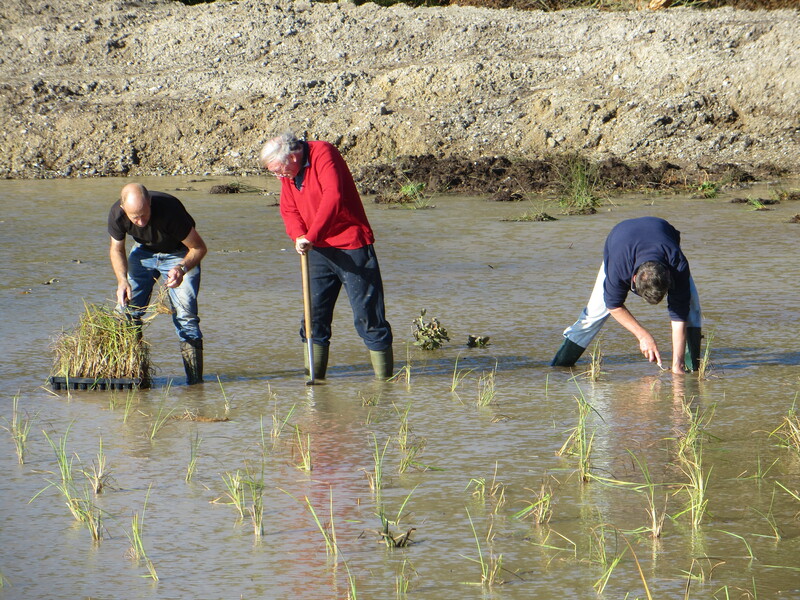 Integrated constructed wetlands: water management as a land-use issue, implementing the’Ecosystem Approach’. Water Science & Technology, 63(12). Harrington, R. & McInnes, R. J. (2009) Integrated Constructed Wetlands (ICW) for livestock wastewater management. Bioresource Technology, 100(22), 5498-5505.